Is Your Heating System Ready for Winter’s Nip? “If it ain’t broke, don’t fix it” is usually a good rule—except when it comes to your heating system. Even if it’s humming along just fine, having a technician take it apart once a year to clean the lines and filters and give it a thorough inspection is absolutely essential. Regular servicing reduces the risk of breakdowns and prolongs the unit’s life. Plus, it saves you money: For every year of maintenance you skip, energy bills jump 5% to 10% because of reduced efficiency. Here’s the lowdown on heating system maintenance. The simplest way to get the work done is to hire your HVAC Contractor to do it. The technician will clean soot and corrosion out of the combustion chamber where the fuel is burned, and check it for leaks or damage. He’ll inspect the flue pipe for open seams, clogs, or corrosion that could cause carbon monoxide to backdraft into the house. He’ll replace the filters on oil and forced-air systems. Finally, he’ll test the exhaust from your cleaned machine and use the information to adjust the burner for maximum efficiency. You’ll pay between $100 and $180 for the service, depending largely on whether you have a gas system, which is easier to maintain, or oil, which requires a fair amount of soot removal. Usually the cost is covered by an annual maintenance contract that also provides 24-hour emergency service. 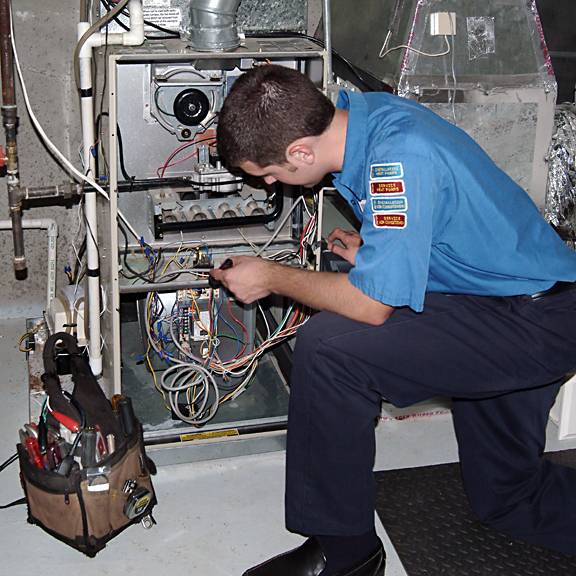 While the technician is there, he should also service your water heater, assuming it has a separate oil or gas burner. 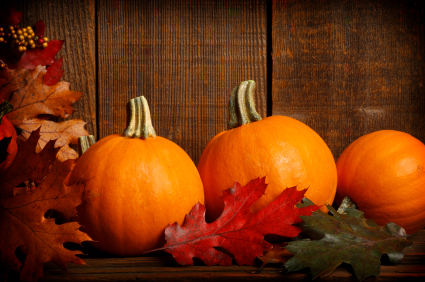 Ideally, have your system tuned up in the fall so it’s in top shape for the start of the heating season. Of course, that’s when technicians are the busiest, so if you can’t do it when you want, do it when you can—as long as your system is serviced once a year. And don’t expect your provider to call to remind you that it’s time. Even if you subscribe to an annual service plan, you still need to call to make an appointment. Call in the spring or summer to be sure of getting on the schedule in the fall. Give us a call at 718-885-3328 or visit our website! Have it done right the first time and call Cottam today! During extreme hot and cold temperatures the question of should I repair or replace my furnace or air conditioner always seems to come up. Most would say “yeah, go ahead and repair it, we’ll think about replacing next season.” Next year the same song and dance. But, when is it the better idea to admit defeat and instead of siphoning money continuously into a unit that just isn’t working properly anymore, to just invest in a new furnace or air conditioner? Well, it depends on a few factors. With a few minor changes in your spending habits, can you reasonably afford a new system? Is your air conditioner using R-22 refrigerant? If it is, you’re better off replacing because they’re phasing R-22 out to a more eco-friendly refrigerant. How old is your system? Two years old, repair. Ten years old, replace. Have you needed to have it repaired in the past? If so, start thinking of how much you’ve spent in repairs over the years. New air conditioners and furnaces have higher Seasonal Energy Efficiency Ratings (SEER) and Annual Fuel Utilization Efficiency (AFUE) which means they are more energy efficient than your older models and they’ll save you money on heating and cooling costs. To keep your system working efficiently, no matter what, you have to keep up with routine cleanings and preventative maintenance. We know most people out there don’t have thousands of dollars to drop on a new furnace or air conditioner at the drop of a dime, right? It’s one of those decisions that takes a lot of thought and research… but when is the best time to buy? Murphy’s Law tends to play into account when considering a new unit–everything that can go wrong will go wrong. This means when it’s a hundred degrees outside, your air conditioner will go out. Why? Because that’s how life works. Whether you decide to fix or replace, you should start saving for when problems pop up. Even saving $20 a paycheck can add up and that peace of mind money will make you feel more at ease, no matter what decision you make regarding your system when problems arise. We have a heating and cooling expert who would be happy to come out to your home and give you an honest opinion on if your system is worth repairing or if you’re better off replacing. Give us a call at 718-885-3328, visit our website and check us out on Facebook. 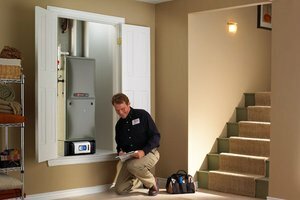 3 Things to do if your furnace won’t turn on! Fall is almost here! It is that time of year again and chances are you are either about to turn on your furnace for the first time in a while or you will in the upcoming weeks. Since your furnace has probably been off for a while, If it does not turn on there are a couple things you can look for before calling your local AC and Heating company! If you have a 90% AFUE furnace or higher with a white PVC intake/outtake on the side of your home, check to make sure that PVC pipe is not clogged with leaves. If it is clogged that could be a reason why the furnace is not working. If all else fails, reset your furnace. The reset switch looks like a light switch that’s on your furnace. To do this, turn the switch “off” for 20 seconds, then back on. Your HVAC system is so much like your car. When it starts to make a loud noise, it rarely is good news. When your HVAC unit is operating normally, it should be relatively quiet and many of the sounds you hear will be normal. However loud and rumbling sounds can be a signal that your system needs professional attention. We have separated sounds out for you to listen for that indicate immediate action is needed! 1. Rattling from outside compressor and fan unit — When the fan turns on in your compressor unit, it should NOT rattle. A rattling sound can indicate loose hardware or a failing motor. The louder the sounds, the more serious the problem can be. However, a squeal when the unit first starts is often a normal sound. 2. “Thwapping” — If you hear a fast “thrawpping” sound when the blower is running, something may be stuck in the blades. There might be something inside the housing that is contacting the blower when it turns. If objects/debris are creating resistance, the motor can wear our abnormally fast. 3. Loud rattling, banging, clanking or banging noises — These types of sounds are usually an indication of a problem with the blower assembly or motor. The rattling usually means a component is coming loose. The problem should be addressed before the part breaks/disconnects completely. If you hear loud banging sou when the blower is running, shut your system off entirely. 4. Squealing or screeching — Squealing from the blower motor can be indicative of a bad belt or motor bearing problems. While belts are not normally expensive, they should be replaced before they break. 5. Repeated clicking sounds — Clicking noises ARE normal when HVAC units turn on and off. If you hear repeated clicking coming from outside the compressor, a relay may be defective. You can also connect with us on Twitter, Facebook and Google +! At Cottam, we talk so much about buying new equipment because many homeowners often feel overwhelmed with the amount of information at their fingertips. We want to assist you with every step of the HVAC buying experience. We present you with 6 pitfalls to be avoided when purchasing new equipment! 1. Not considering maintenance contracts — Maintenance is necessary to keep your system functioning in optimal conditions over the life of the unit. Ensuring your system is clean and maintained annually can extend the life of your system and help you avoid expensive and preventable repairs in the future. Occasionally, warranties can be voided if homeowners do not keep up maintenance on a newly installed system. 2. Going for lowest price — A low price DOES NOT always equal the best value. A higher efficiency system might cost an extra $800 up front, but could save you $300 per year in energy costs. Over the life of the system, typically 12-15 years, you would be saving significant dollars by paying a little more for the higher efficiency system. 3. Missing rebate opportunities — Many states and manufacturers offer rebates to help offset the costs of some systems, particularly those that are higher efficiency. In fact, some states offer as much as $1500 in rebates. 4. Only getting one estimate — Prices and options will vary, as will service contracts, installation costs, and permits. Shop around and compare apples to apples. 5. Ignoring SEER — The higher the SEER (seasonal energy efficiency ratio) rating the more efficient the unit, which translates to less money spent each month heating or cooling your home. A 13 SEER is the minimum, 15 SEER is good and 16 SEER is high efficiency. A high efficiency system can cut your energy bills in half when compared to an 8 SEER unit. 6. Not paying attention to refrigerant — If you’re buying a new system make sure it uses R-410A or a similar approved refrigerant. In some cases repairs can be made to existing systems using the R-22 refrigerant that is already in your old system or it can be repaired and recharged with “re-claimed” and recycled R-22 refrigerant from other old systems. These 6 factors can completely shape your HVAC buying experience so please share these tips with friends and family! Buying a new air conditioner or furnace is a big decision. Take the time to make it a good one. Have your recently replaced your system? Tell us what you learned before your purchase!